Andres Duarte on his horse seemed to watch with pride as the Winter Solstice Craft Fair, sponsored by the Duarte Historical Society & Museum on December 8 unfolded with obvious community pride and success. 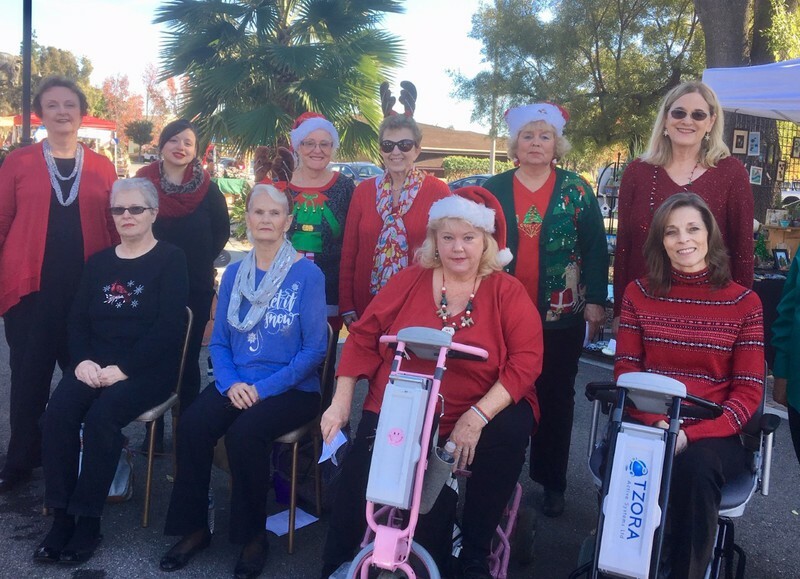 Local handcrafters and vintage wares collectors sold their goods, choirs sang, and food booths served tacos and tamales at the statue plaza and adjacent Grace Fellowship Church, 1551 Huntington Drive. Santa made an appearance, posing at Jim Constantian’s Model A while Jim played Glenn Miller music on his vintage music machines. Guests and vendors alike enjoyed a sunny day. The choir from the Duarte Senior Center entertained, followed by Sounds of Harmony, a Sweet Adeline’s Chorus. 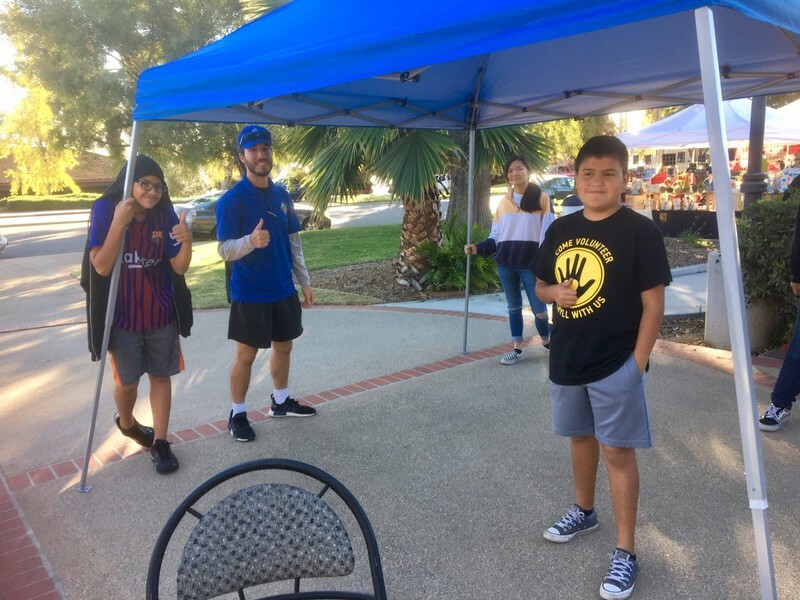 This fourth annual event was supported by the City of Duarte and hosted by the Grace Fellowship Church and aided by many volunteers who made it possible. All funds will benefit the Museum. Vendors are invited to download an application by clicking below and following the instructions on the downloaded application. 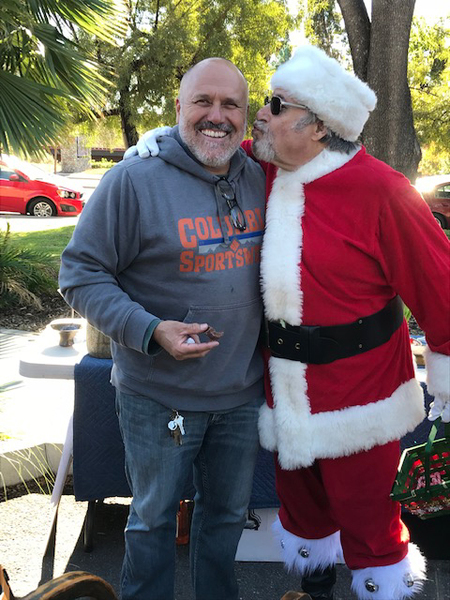 December 8, 2018 at the Andres Duarte Statue Plaza, 1551 Huntington Dr., Duarte. The Winter Solstice will occupy the area around the Andres Duarte Statue on Huntington Drive (Route 66) across the street from City Hall and the adjacent property of the Grace Fellowship Church. Church and street parking are available for customers. Vendors will unload, then park in the city parking lot on the south side of Huntington, returning via crosswalk. 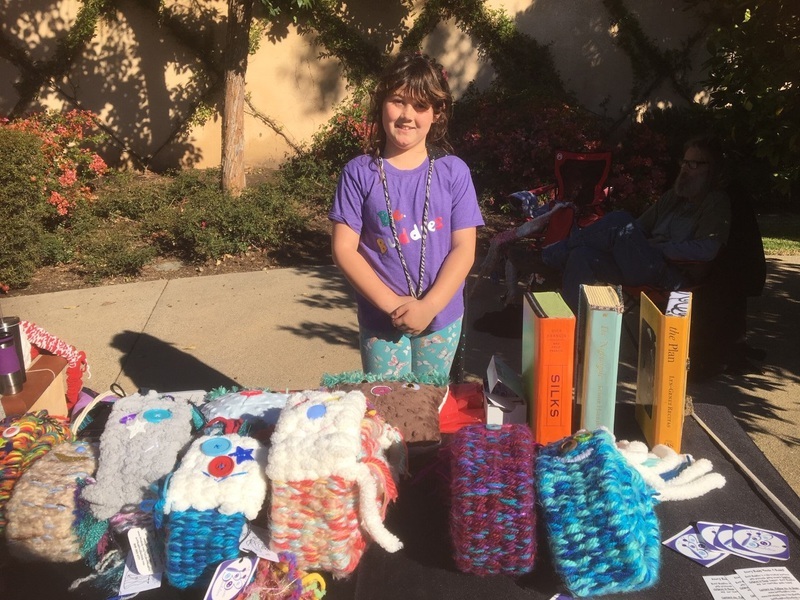 The Craft Fair committee will provide helpers, unleash a publicity campaign and organize the event. Proceeds support the Duarte Historical Society & Museum, an all-volunteer non-profit museum dedicated to the preservation of local history. For information contact: Karen Levein, (626) 201-1449 or k.levein@gmail.com. The application is also available for download above and payment may be made on the website PayPal account. When completing the online application, hit the "Send form" button, then add your items to the Cart and checkout through PayPal. No applications will be considered after November 30 or after 50 applications have been confirmed, whichever comes first. Vendors provide their own equipment. 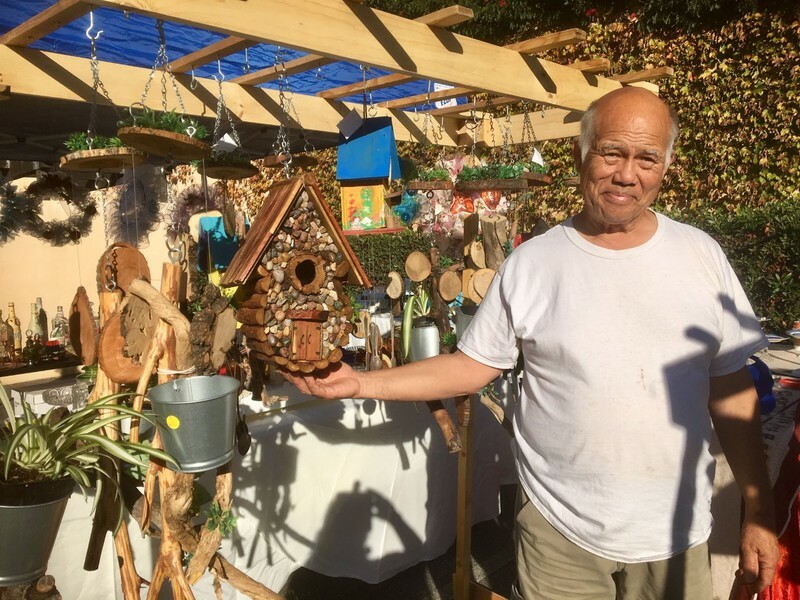 The fall season Duarte Historical Society Craft Fair has become an annual event that supports local artists to share and sell items they have created during the year. 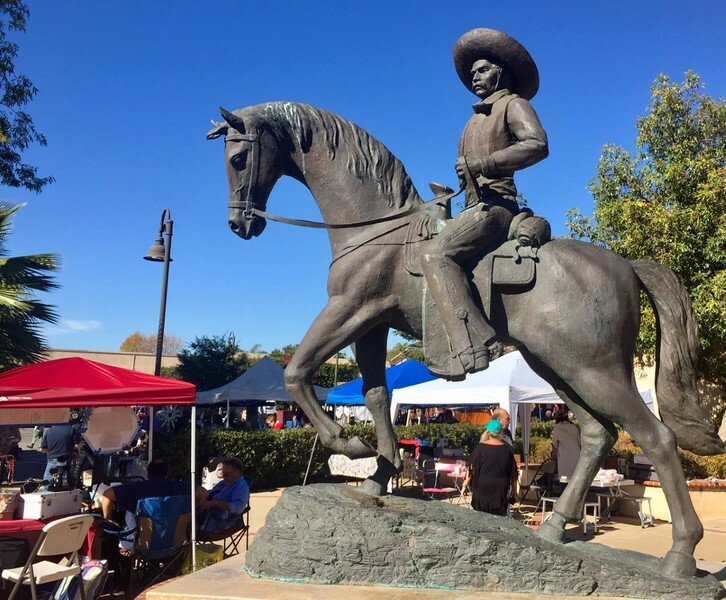 This year the event will be at the Duarte Statue Plaza, 1551 Huntington Dr., Duarte, from 9 a.m.-4 p.m.
December 9, 2017 at the Duarte Statue Plaza, 1551 Huntington Dr., Duarte. We will continue to host this annual event at the Duarte Historical Museum. We want to thank those who came out to support the 2015 vendors/artists. Click here to download the flyer for this year's Craft Fair & Flea Market.